Thank you for asking about grain-derived ingredients in Colgate-Palmolive products. We certify that all Colgate Toothpastes with the exception of Ultrabrite Toothpastes (which are currently under evaluation) are gluten-free. NuGo has many gluten free bars. I recently tried the Dark Chocolate Crunch and NuGo Dark Mocha Chocolate. I found both of them to be good. NuGo Dark Mocha Chocolate definitely had a dark chocolate and coffee taste come through that I really liked, but it was strong so it's hard for me to guess how likely it will appeal to others. 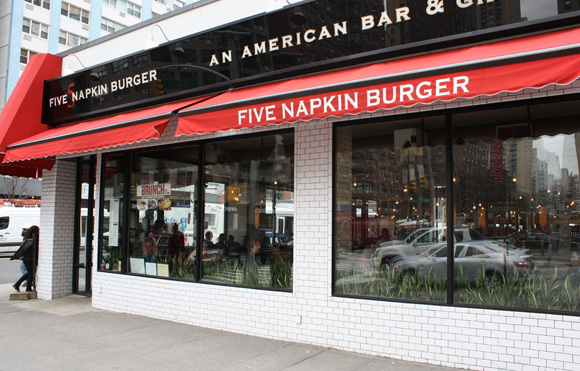 If you're planning to go to 5 Napkin Burger and want a burger on a bun, call ahead to make sure they have GF buns. We walked in and mentioned that we were eating gluten free. The hostess quickly checked with the kitchen to make sure they weren't out of them. The staff was well versed on what is and isn't gluten free. Our waiter said that there is a dedicated french fry fryer, but that it's right next to others and he wouldn't recommend the fries to someone with Celiac. 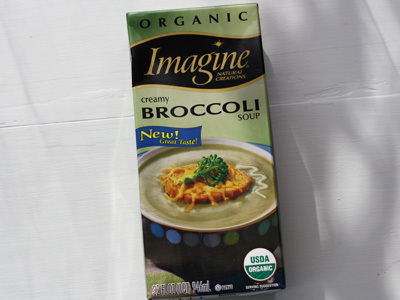 Imagine's Creamy Broccoli Soup is labeled as gluten free, organic, non-dairy and vegetarian. 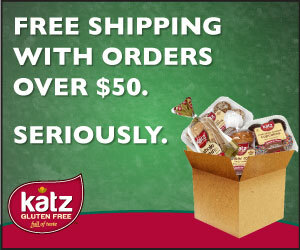 It also comes without any artificial ingredients, msg or preservatives. It is definitely tasty, which is probably not unrelated to the fact that it contains 440mg of sodium per 1 cup serving. I found that it does not have the classic "broccoli soup" tasted, but again, it is tasty and I will purchase it again. 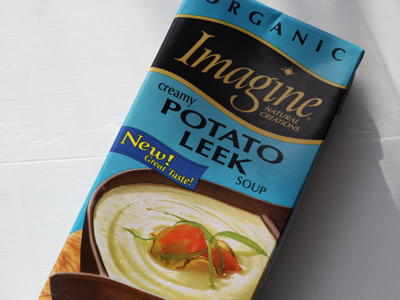 Imagine's Potato Leek Soup is Gluten Free, and delicious. It's creamy texture has enough body to feel like a hardy soup, but it's not too filling and has just a hint of spiciness. 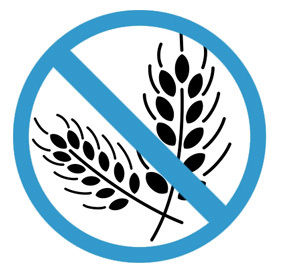 In addition to being gluten free, it is also labeled as organic, vegetarian and non-dairy. I haven't tried it yet, but it's label also suggests using it for a salmon dish, and I can easily see how it will go well in chicken casserole and more.